I always have a handful of projects in-process at any given time. 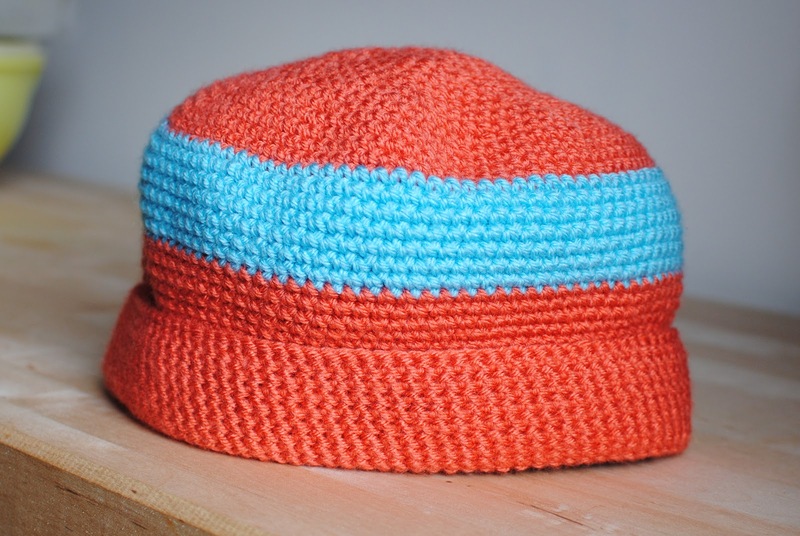 And one of my favorite, year-round projects are Crocheted Hats for Good Causes. 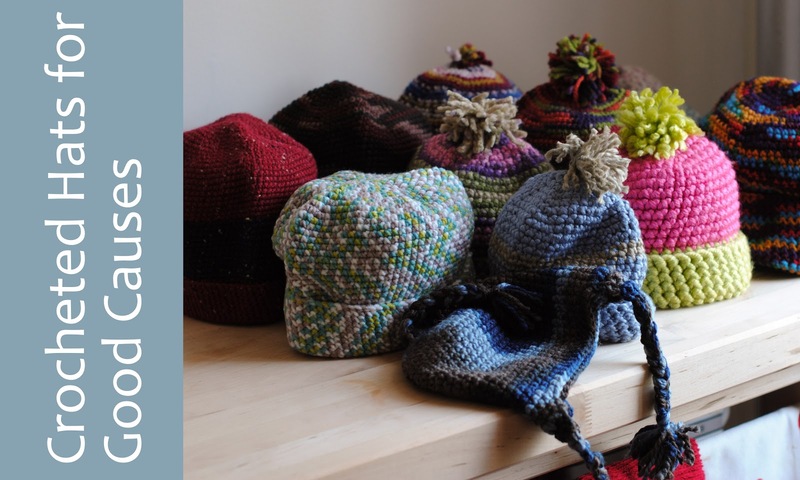 Did you know that there are tons of organizations that are in need of homemade hats? If you do a quick Google search, you'll find all sorts of people who are organizing hats for cancer patients, homeless people, veterans, and more. 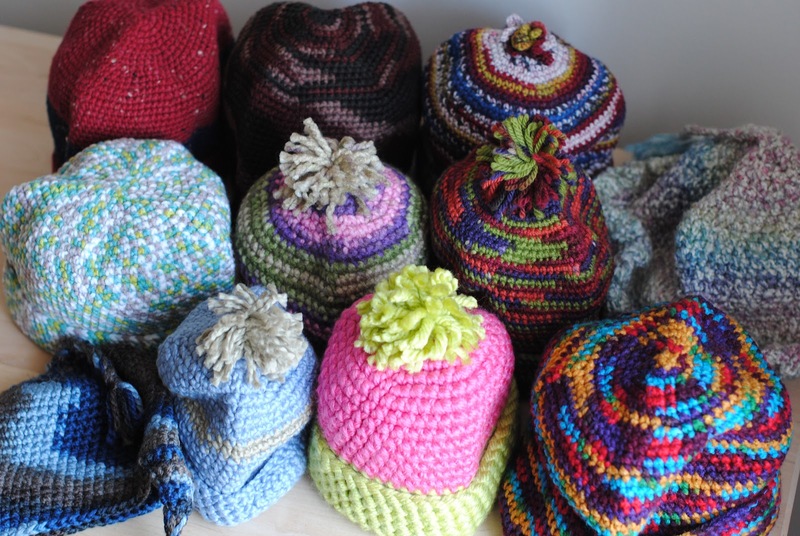 With that in mind, throughout the year I crochet hats of different sizes and colors, and then every few months I pack them up and send them to a new charity. I have lots of fun making these hats, so I usually have lots of different hats "in progress," as you can see! Now, I have to admit, I am still a novice crochet-er, so I am pretty terrible at reading instructions. But I didn't let that stop me from creating this very basic hat design. I actually make all of my Crocheted Hats for Good Causes using this simple pattern that I came up with. I try to use soft yarn and a smaller hook so my stitches will be tight- this makes for a very warm hat, which I suspect the eventual recipients appreciate! 1. 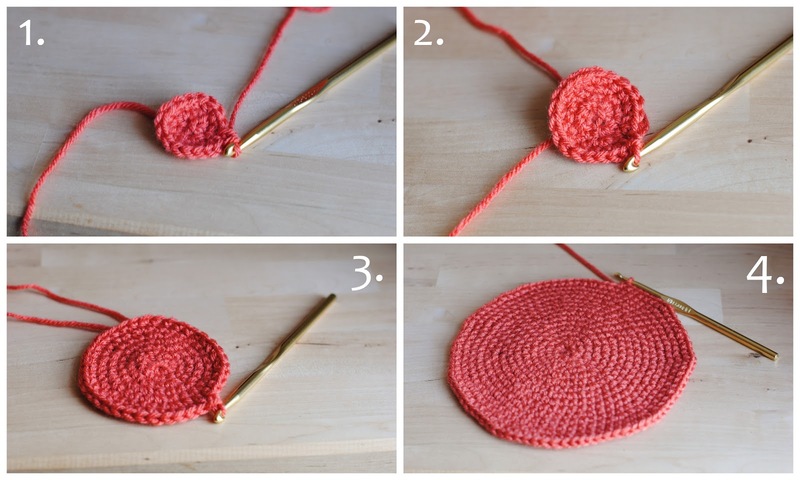 I start by crocheting a circle. 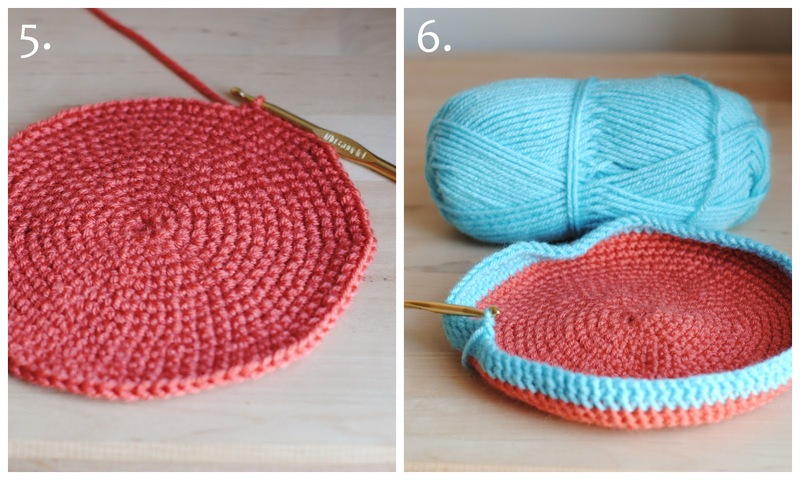 There are lots of tutorials online, but basically I single crochet 6 and join the stitches to create a ring. Then I make two single crochet stitches in each of the initial stitches around the ring, so I have 12 stitches around. 2. For the next round, I make two single stitches into the first stitch, and then one single stitch into the second. I do this for the entire round, so I have 18 stitches around. For the fourth ring I stitch two single stitches into the first stitch and single stitches into the next two stitches, so I have 24 stitches around... are you getting the picture? 5. And the circle grows until it is as big as I want the top of my hat to be. Once I think the circle is big enough to cover the head I have in mind, I stop increasing my rounds. But not increasing, the circle stops growing and starts growing up! 6. 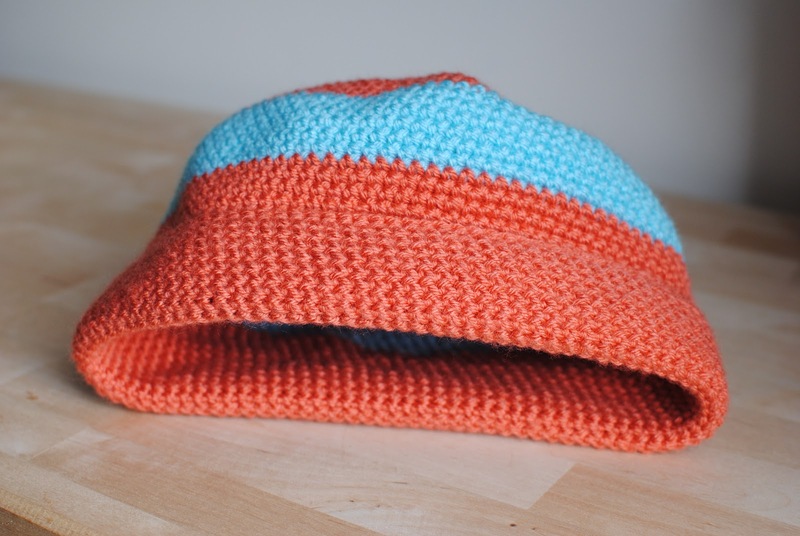 Of course, I love a little color, so I sometimes switch yarn colors for a few rows which adds a band of color to the hat. 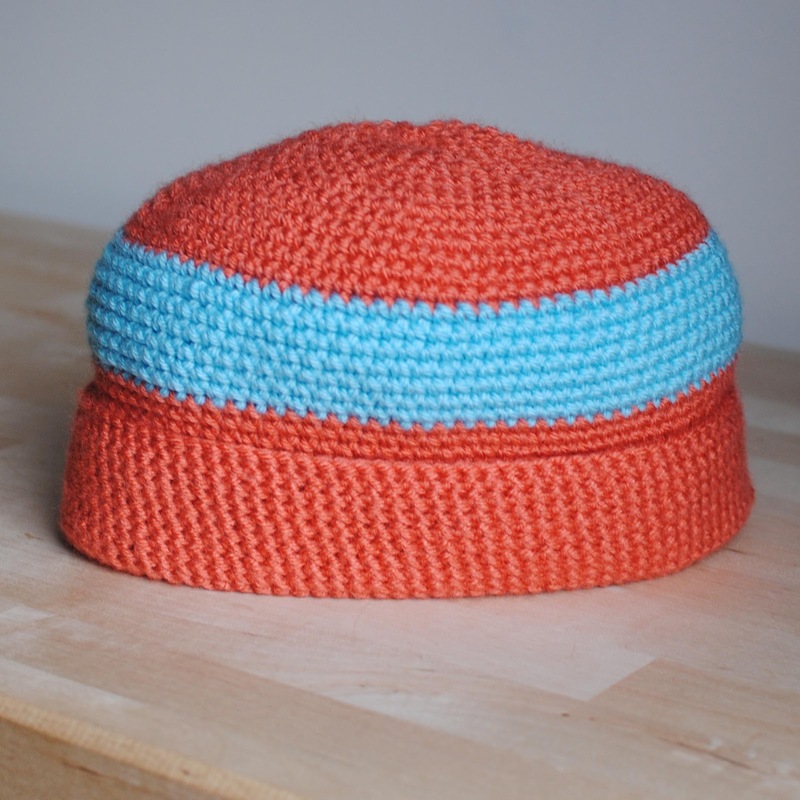 And after lots of crocheted rounds, my hat is finally finished! Since I'm not sure who will end up receiving my hats, I try to make them versatile by crocheting them extra long so people can fold over the bottom if they choose! 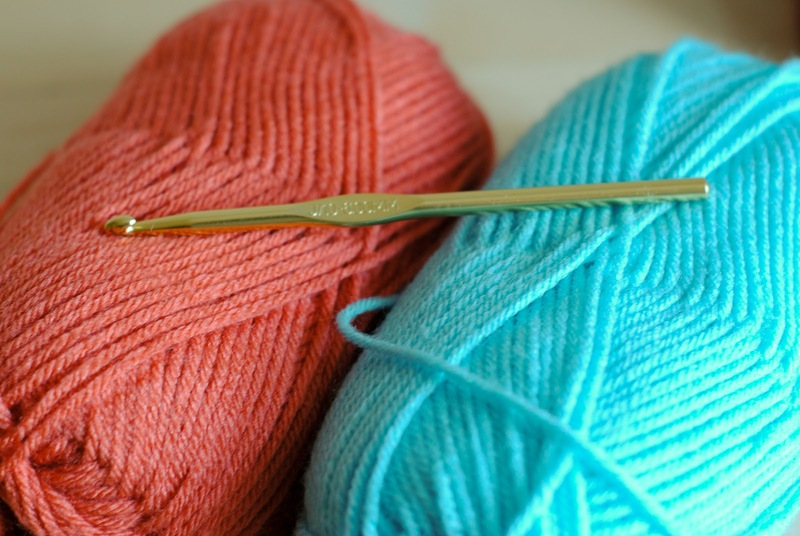 There you have it - a very simple way to crochet Hats for Good Causes. 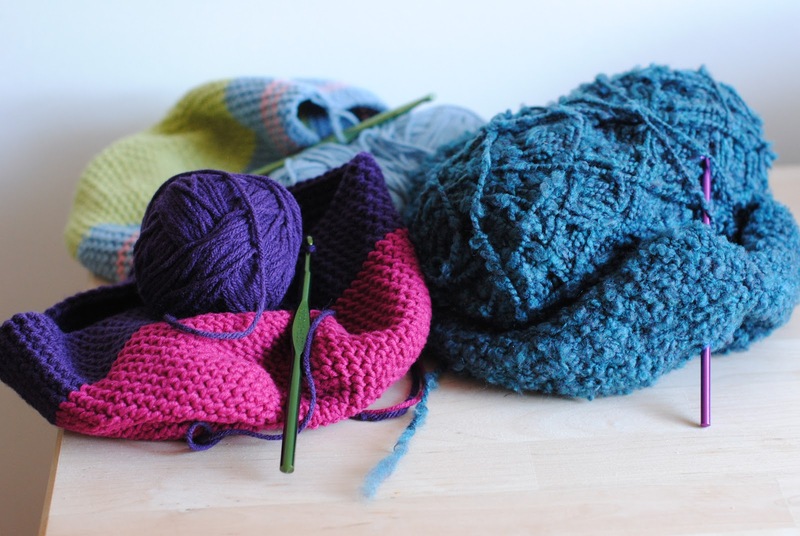 If you have some extra yarn lying around, this is a great way to help out those in need! Now, I'm off to the post office because I have a box of hats on their way to new owners! These are fabulous. Your sense of color is lots of fun, too. I bet the folks that get these will be so proud to wear them. I'm sharing this on my facebook page.